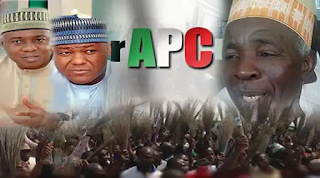 Members of the newly launched reformed All Progressives Congress(R-APC) are said to have kick-started moves aimed at ensuring their defection to the main opposition party, the People’s Democratic Party (PDP) in a matter of weeks. “It took this government 1,018 days to prosecute Saraki on what has been seen an initial as a merry go round. It was purely a political step that is bound to boomerang. Everyone knows that Saraki played critical roles in ensuring the victory of APC against his old party the PDP in 2015. “Now we have seen that we are not wanted in this party. They have constituted their executive without recourse to the complaints to the nPDP. It is clear that they have also sidelined the Senate President and Speaker Dogara in the running of the affairs of the party.